– 16×52 Night Vision: low-light-level night vision built-in design, it has a clear vision when there is reflect light at night. – This monocular offers a 16x magnification and a 52mm objective diameter, getting a clearer and brighter range of view. – The fully coated optics guarantee superior light transmission and brightness, helping you see just about any target comfortably. – It can be used by the mobile phone to take pictures and Equipped with mobile phone clip and tripod. – Comes with a rope, for easy carrying. Waterproof and fog proof. 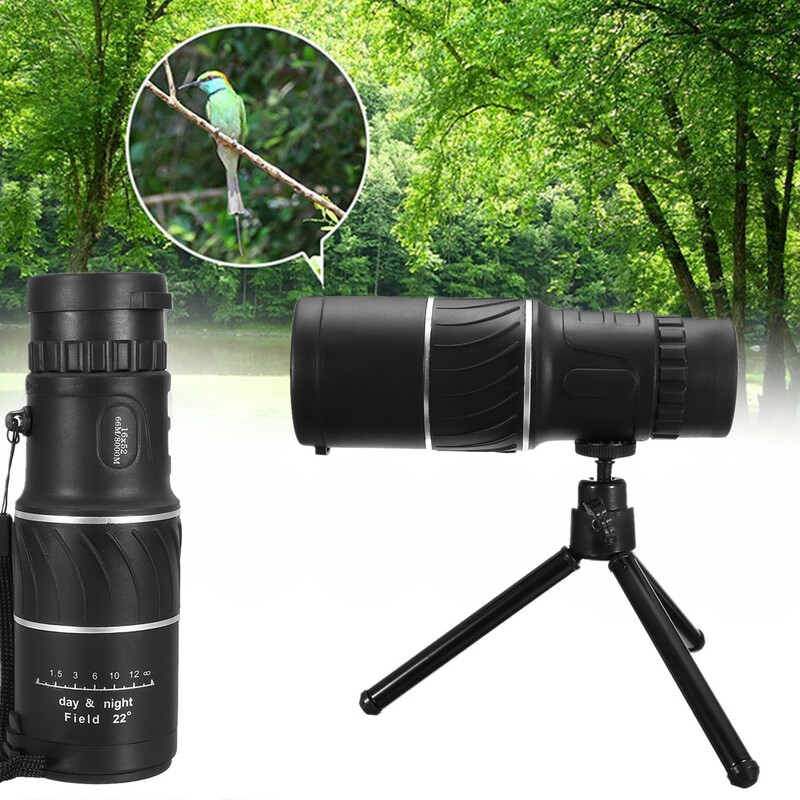 – A perfect tool for enjoying the beautiful scenery, viewing, and it is suitable for Golf, Camping, Hiking, Fishing, Bird Watching, Concerts, etc..